Courtesy of Nick Schultz | The Phoenix The Klarchek Information Commons was renamed this summer after Klarchek and the university terminated an agreement. Klarchek has had financial issues recently, but it’s unclear if this is the reason for changing the name to the Loyola IC. 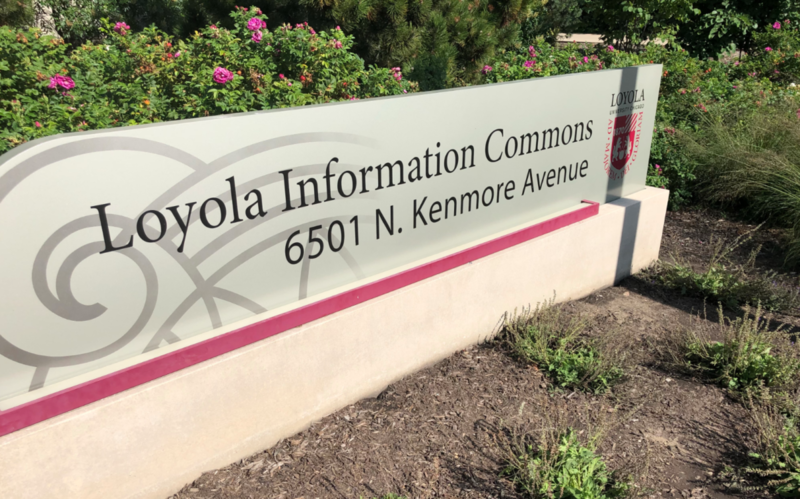 Loyola’s Richard J. Klarchek Information Commons (IC) was renamed to the Loyola Information Commons late this summer when an agreement between Loyola and Klarchek was terminated. The IC is one of Loyola’s most iconic buildings, known for its beautiful views of the lake and its stunning architecture. It originally opened for student use on Jan. 14, 2008. It was built to offer collaborative spaces, high-tech tools and a cafe to students studying at the Lake Shore Campus. Plans for its construction originally began in 2005 but ground wasn’t broken until 2006. 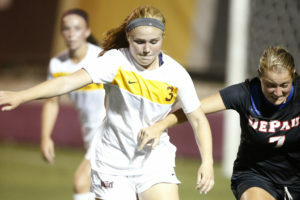 Loyola’s website includes a full timeline of the Information Common’s history detailing who was responsible for its design, construction and funding. Klarchek’s name can’t be found. Klarchek is the president of Capital First Realty Inc. and became affiliated with Loyola after pledging $10 million to building the Information Commons. The company was founded in 1979 and became successful selling real estate. He owned multiple mobile home parks, including Sterling Estates and Lagrange Estates, as well as other properties. Sterling Estates is located at 9300 W. 79th St. in Justice, Illinois and Lagrange Estates at 6 Cour Drive in La Grange, Illinois. The real estate crash in 2008 severely impacted his company and he became unable to pay back creditors, resulting in Klarchek declaring chapter 11 bankruptcy in 2010. Chapter 11 bankruptcy is known as reorganization bankruptcy because the person in debt still intends to pay back creditors and keep their business alive by making a payment plan. This can be filed either voluntarily by the debtor or involuntarily by the creditors. Klarchek filed the petition voluntarily, according to Crain’s Chicago Business. It’s unclear if Klarchek’s financial problems in the real estate world led to the name change. 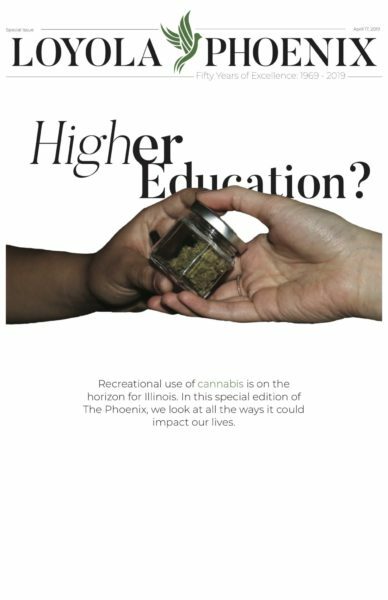 He’s facing a number of lawsuits, but Loyola Communication Specialist Sarah Howell didn’t confirm this was part of the school’s decision to cut ties. She would also not confirm what day the name change took place. Klarchek pledged $10 million to building the IC in 2007 but began suffering financially due to the real estate crash the following year. Since then, Klarchek has suffered from foreclosures and most recently foreclosed on a penthouse on the 63rd floor of the Four Seasons Hotel in Chicago. The penthouse, valued at $11.5 million, sold in foreclosure for approximately $6.4 million in 2015. The agreement to change the name was mutual, according to Howell. “The parties have agreed to terminate their agreement and neither has any further comment,” Howell said. Klarchek and Capital First Realty declined to comment.